Sidney was born in Wolverhampton on 25 January 1897, the son of Albert and Amy Bowyer. They were living at 66 Knox Road in 1901, and by 1911, they were living at 18B Hall Street, Blakenhall, together with Sidney’s siblings Albert, Thomas, Harry, Elsie, Hilda, Ernest and Amy. Sidney was a printer’s errand boy. On 6 May 1915, Sidney enlisted in the 2nd/6th South Staffordshire Regiment (number 4139), when his trade was given as “bobber”. By 10 May 1916, he was discharged as he was unfit for further military service, having not yet served overseas. By this date, his address was given as 11 Hospital Street, Wolverhampton. He was described as having “poor physique” and debility”, which was neither the result of, nor aggravated by, military service. By the time of his discharge he had not done any training for the previous three months. On 10 February 1919 he married Dora Hayes at Dudley. He was reengaged in the Territorial Forces on 6 May 1920, with the South Staffordshire Regiment (number 4904177). His trade was now a “fitter”. He served for seven years. Sidney died in Wolverhampton in 1940. John was born in Wolverhampton in 1894, the son of Thomas and Sarah Ann Blackham. In 1911, they were at 68 Steelhouse Lane, Wolverhampton, together with John’s siblings Clara, Robert and Florence. John was an Iron Heater at Chillington Tool Works. John enlisted initially in the South Staffordshire Regiment (number 241526, before transferring to the 9th Battalion of the King’s (Liverpool) Regiment (number 350096). He was killed in action on 31 July 1917 in Belgium. He is commemorated at the Potijze Burial Ground Cemetery in Belgium. Edwin was born in Walsall in 1879, the son of John and Margaret Farley. By 1891, they were living at 86 Dudley Road, Wolverhampton, along with Edwin’s siblings George, John, Eliza, Margaret, Bedina, Charley and Joseph. On 1 January 1900, he enlisted with the 4th Battalion of the Worcestershire Regiment (number 5672), giving his trade as “packer”. He saw active service in South Africa, and was promoted to Corporal. However, there were some issues. In 1903, he appeared before a Court Martial, accused of “Conduct to the prejudice of good order and military discipline.” It appeared that, on 8 August 1903 at about 10.30pm, he had been drinking beer and creating a disturbance in the Medical Detention Tent at Bloomfontein. He had also neglected to obey regimental orders. He was found guilty, and reduced to the ranks. He reached the termination of his engagement on 31 December 1909. When war was declared, he was called up to his regiment again. On 28 April 1915, he was killed in action on the Dardanelles. 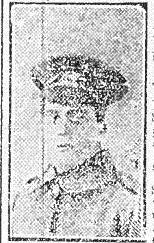 This was mentioned in the Midland Counties Express on 10 July 1915, along with the information that his brother, Charlie, had been serving in India, and that two further brothers, Joseph and Bernard, were in France. He is commemorated on the Helles Memorial, as well as on the Dudley War Memorial, and the Priestfield Roll of Honour. Alfred was born in Wolverhampton on 25 September 1892, the son of Alfred and Prudence Emily Hall. They were living at 7 Copthorne Road, Wolverhampton in 1901, together with his siblings Ethel, John, Cathline, Olive and Charles Hall. Alfred attended the Wolverhampton Grammar School. By 1911, he was in London, at 63 Kingley Street, Westminster, working as a hosiery apprentice for a Gentleman’s Outfitters. John was born in Wednesfield in 1881, the son of Thomas William and Martha Banks. In 1901 and again in 1911, he was living with his parents at 43 Lichfield Road, Wednesfield, and he was a coal miner. On 8 January 1914, he enlisted with the 1st Battalion of the South Staffordshire Regiment (number 9407). 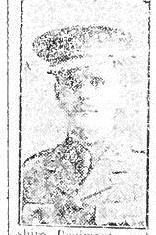 He was killed in action on 23 October 1914, which was announced in the Midland Counties Express on 9 January 1915. He is commemorated on the Ypres (Menin Gate) Memorial. Reginald was born in Sutton Coldfield in about 1893, the son of Charles Henry and Mary Jane Page. In 1901 they were living at 32B Wellington House, Bloxwich, together with Reginald’s siblings, Katharine, Harry A., and Doris M. On 16 April 1910, the 17-year-old Reginald sailed on the S. S. Cairnrona from London to Portland, Maine, in America. He later emigrated to Canada. In October 1914, he “came over with the first contingent of Canadians”, enlisting on the very day that war was declared. His mother was still living at 3 Westland Road, Wolverhampton. He rost to become a Second Lieutenant in the 1st/6th Battalion of the South Staffordshire Regiment. While he was “bravely leading his platoon in a charge”, he was killed in action on 1 July 1916. A letter written to his mother by his Commanding Officer stated that “He looked after his men so well, inspiring them with confidence and showing a splendid example in leadership”. This was reproduced in an article in the Midland Counties Express on 25 November 1916. A small piece also appeared in the Express & Star on 22 September 1916. He is comemmorated on the Thiepval Memorial . Ernest was born in Wolverhampton on 28 August 1900, the son of Henry and Elizabeth Thomason. In 1901, he was living at 88 Lower Street, Tettenhall, together with his parents, siblings George, Alfred, Frank and Amy, and step-brother Henry Rowley. BY 1911 they were at 47 Lower Street. On 11 September 1918, at the age of 18 years and 14 days, Ernest enlisted in the 53rd Battalion of the Leicestershire Regiment (number 62467). His address by this time was given as 50 Aldersley Road, Tettenhall, and his trade was “Bread Deliverer”. He was discharged on 18 March 1920. He married Elsie Elkin in Wolverhampton in 1923, and the couple went on to have four children – Ernest, Elsie, John and Patricia – between 1924 and 1943. Ernest died in Wolverhampton in 1972. John was born in Birmingham in 1895, and was first taught at Elkington Street Board School, before the family moved to Wolverhampton, when he attended Neachells Lane School, Wednesfield. For seven years, he attended St Stephen’s Sunday School, being a member of the choir for five years. By 1911 he was living at 64 Hart Road, Wednesfield, with his mother and step-father, Susan and Charles Moore, a half-brother Charles Henry Moore, and his brother, William Lee. John was a labourer at the Patent Axle Box Works in Wednesfield. He was also involved in “local football circles”. John enlisted with the 6th Battalion of the Leicestershire Regiment (number 10830). He volunteered to go out and raid German trenches, returning safely on 16 June 1916, but was killed in action in France on 17 July 1916. 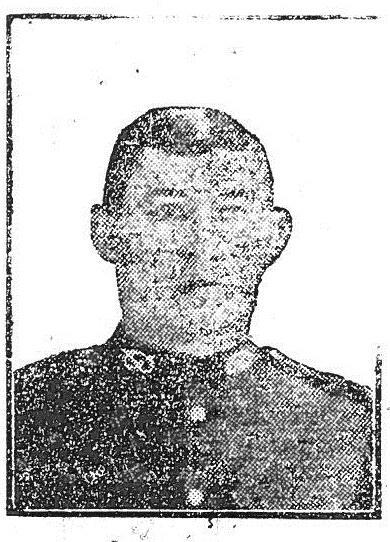 An article about him appeared in the Midland Counties Express on 25 November 1916. He is commemorated on the Thiepval Memorial, as well as on the Wednesfield Village Roll of Honour. Albert, aged 34, in the Royal Field Artillery, who had fought through the Boer War, was now in France, and was married. Herbert, aged 27, serving with the 8th Hussars, had come over from India with the Indian forces and was now in France. They were the sons of Richard and Selina Backhouse. Albert was born in Wolverhampton in 1881. He married Esther White in Wolverhampton on 3 February 1906, and by 1911 he was living at 34 Loversall Street, Denaby, Conisbrough, Yorkshire, with their three children Herbert, Eva and Emily. Albert was a coal miner. On 22 December 1914 he attested in the Royal Field Artillery (number 64109). By this date, the couple had had a further two children – Albert and Walter. From 1915 until 1918, he served in France. 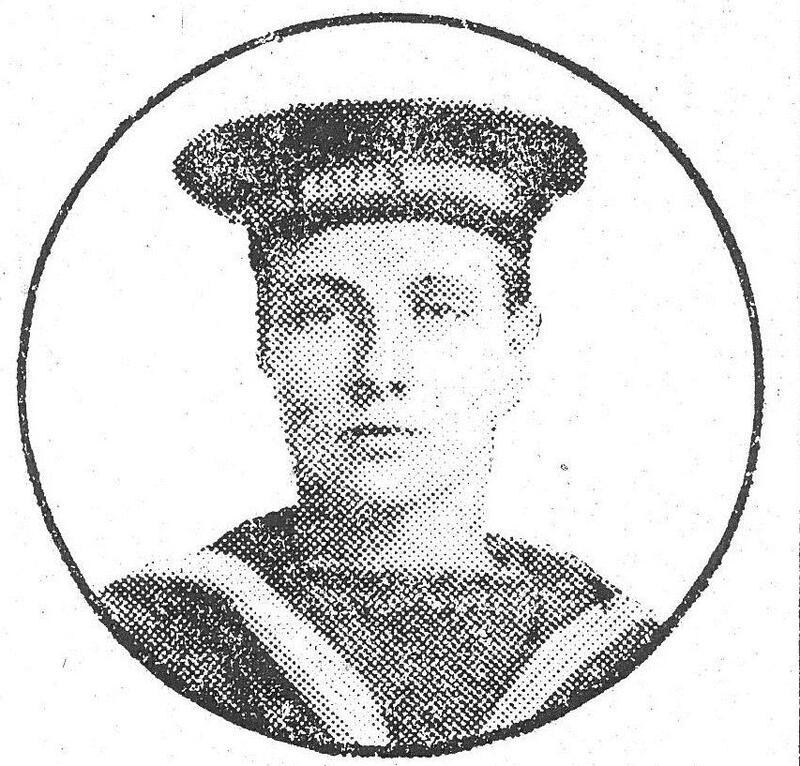 Albert survived the war and was discharged on 14 December 1918. He died in Yorkshire in 1965. Herbert was born in Wolverhampton in 1888. By 1901 he was with his parents at 1534 Wood End, Wednesfield, along with his siblings John S., Elizabeth, Mary, Charles, Violet, Richard and Gertrude. By 1911 he was already serving in India with the 8th Hussars (number 2850). He also survived the war, and married Elizabeth Broomhall in Wolverhampton in 1919. Unfortunately he died in 1926. Charles was born in Wolverhampton on 25 October 1890. Again, he was serving with the Royal Field Artillery (number 33068) by 1911, in his case in Hong Kong. He enlisted on 15 March 1910, when his trade was given as collier. He, too, survived the war, and died in Wolverhampton in 1976. Richard was born in Wolverhampton in 1894. Along with Violet and Gertrude, he was still living with his parents in 1911, now at Rookery Street. He married Gladys Jones at Wolverhampton Registry Office on 16 February 1914. On 9 October 1914 he enlisted with the Royal Welsh Fusiliers (number 16200). He was also a miner. He was later discharged as “having been found medically unfit for further service” on 17 November 1914. There do not appear to be any further details, and this doesn’t tally with the information in the Midland Counties Express. He died in Bilston in 1963. John Bellingham was the husband of Elizabeth H. Backhouse, and their marriage took place at the Heath Town Parish Church on 25 April 1902. He was born in about 1881. By 1911, they were also living in Rookery Street, Wednesfield, with their six children William Albert, John, Arthur, Herbert, Charles and Gladys. John was also a coal miner. They later had another child, Sydney. On 12 January 1915, he enlisted with the Royal Field Artillery (number 75921). He was discharged on 12 June 1915 as “not likely to become an efficient soldier” – a note on his pension record unfortunately state that “This man is a real coward and has spent all his term in hospital. He will never be any use as a Driver or Gunner.” Undeterred, however, he re-enlisted, this time with the South Staffordshire Regiment (number 4391). He later transferred to the 14th (Service) Battalion of the Hampshire Regiment (number 26842). Unfortunately, he was killed in action in Belgium on 26 September 1917. He is remembered at the Tyne Cot Memorial , as well as on the Wednesfield Village Roll of Honour. Harold was born in Bradmore, Wolverhampton, on 21 July 1893, the son of John and Elizabeth Esther Hannah Anslow of 35 Church Road, Bradmore. They were at this address in 1911, together with Harold’s siblings John Walters, William Henry, and Martha Julia. Harold was a fitter helper at a boiler works at Ettingshall. He became an Able Seaman with the Royal Navy (number KP/636), serving with the Anson Battery, Royal Naval Division. He died on 4 June 1915, killed as a direct result of enemy action. The Midland Counties Express on 24 July 1915 announced that he had lost his life while ijn action in the Dardanelles. He is commemorated on the Helles Memorial.